Ready for more shopping ideas? Well Best Buy is sponsoring our roundups for the next few weeks ~ you know the drill, our picks, they’re just supporting us to make it happen! 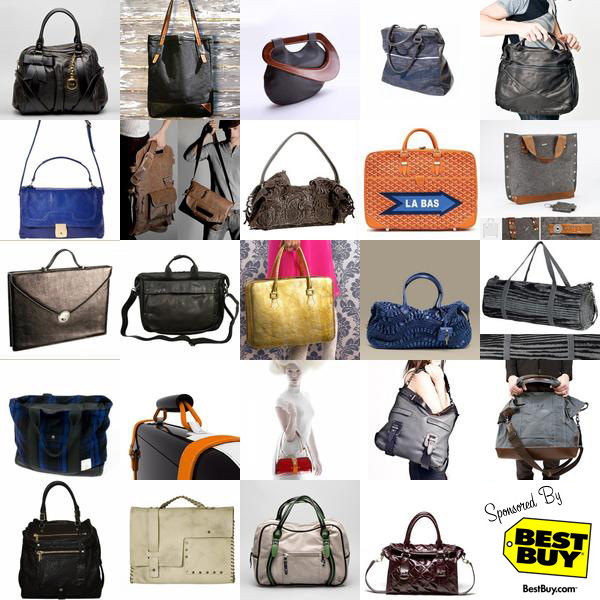 So here’s a roundup of awesome bags as found on NotCouture! Click the images to find out more! Nice, I’ve been looking around for a new bag. I would take anything made by Goyard…. Of course my favorite back listed here is almost $6000. Ha!